All four judges turned their chairs around for Weaver quickly and the back-and-forth between them as the cajoled the singer to pick them as mentors got fierce with Jennifer Hudson throwing a shoe as a sign of respect. 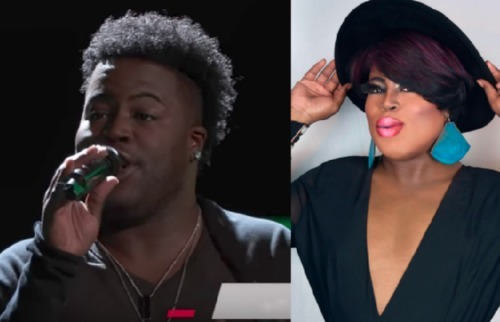 When he reveals that he’s a gospel singer and a drag queen, all four judges went nuts. “You are the first person that has ever auditioned that is giving us an opportunity not the other way around. You are a phenomenal singer, but you are even more special than that to me,” Adam Levine told Weaver.